(Dicobey) - A many petalled rose with blooms of yellow heavily flushed red. A very showy and bright rose of good health and vigour. 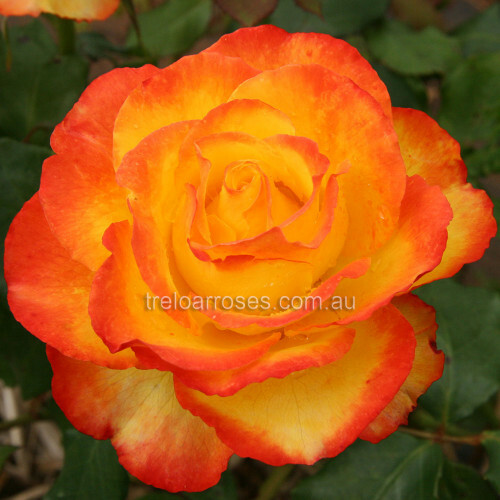 This rose has won many awards including 3 Gold Medals. Height 80cm. (Dicobey) - A many petalled rose with blooms of yellow heavily flushed red. A very showy and bright ..